Please note that this book has been republished as a second edition and can be obtained from Amazon. Cover design by Ann Blattner. Cover image: "The Adoration of the Magi." Whalebone, English, early twelfth century. Reproduced by the permission of the Curators of the Victoria and Albert Museum, London. Copyright ©; 1996 by The Order of St. Benedict, Inc., Collegeville, Minnesota. All rights reserved. 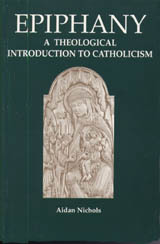 No part of this book may be reproduced in any form or by any means, electronic or mechanical, including photocopying, recording, taping, or any retrieval system, without the written permission of The Liturgical Press, Collegeville, Minnesota 56321. Printed in the United States of America. Copyright ©; 1996 by The Order of St. Benedict, Inc., Collegeville, Minnesota. All rights reserved.